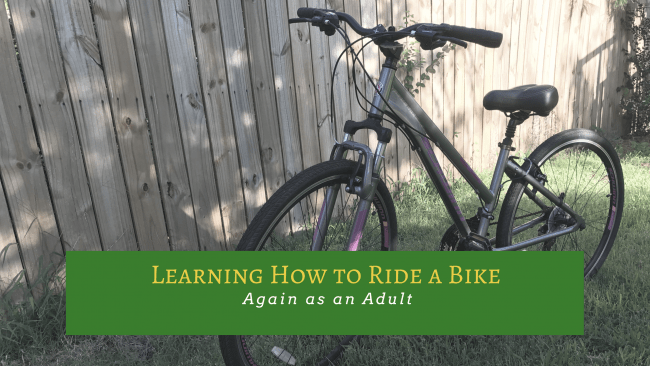 This article on learning how to ride a bike again as an adult is sponsored by Schwinn Bicycles. They provided bicycles and helmets for this article. This blog may contains affiliate links. They help pay for the coffee that keeps us turning out adventures week after week. I’ll only recommend and share products that I use and love myself. Thanks! I’m sure you’ve heard the saying “it’s just like riding a bike.” It will come back to you! Well, I have to disagree that bike riding is really that simple. Bikes have changed a lot since the ones I rode all over the place when I was a kid. They’re not as simple as I remember them being! Some bikes are highly technical. And what’s up with those hugely fat tires on some bikes? Lol. I will admit that I had to relearn how to ride a bike this summer. When I was a kid, I rode my bike everywhere. I lived in the country and there were miles and miles of open fields and roads to bike down. Once I turned 16 though, I traded in my bicycle for car keys and didn’t think twice about it. I think my story is like a lot of people. Once I started driving, I lost interest in cycling until my circumstances changed. For me that change happened recently. I started seeing groups of cyclists riding together having what looked like a ton of fun. They were going out cycling and then meeting for coffee and/or breakfast after. I wanted to start riding and doing that too. Plus after years of saying “vacation calories don’t count” and the fact that I’m getting older, it’s getting harder to keep my weight where I want it. Riding a bicycle seemed like a low impact way to get in more exercise. 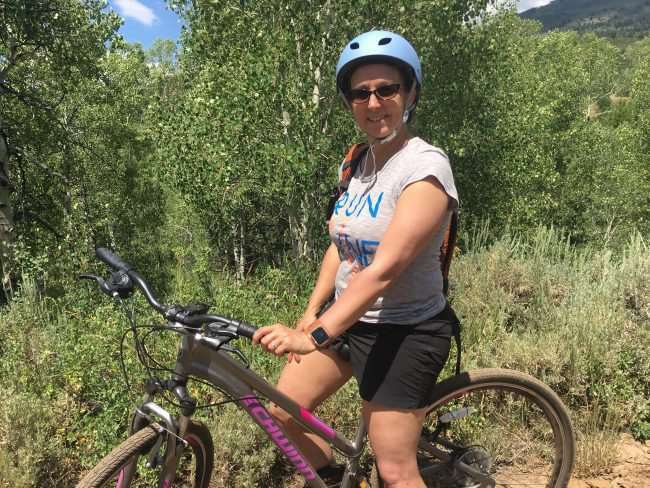 Before I could start riding, I needed to decide on a bicycle that was right for me. Not only did I need to find the right sized frame, but what style of riding I wanted to do, etc. I’m only 5’2” with long legs and a short torso. So finding a bicycle where I was comfortable and not leaning too far forward to hold the handlebars was really important to me. My second consideration was frame weight because I wanted a bicycle that could ride on pavement and on easy dirt trails. After looking at several bicycles, I decided that the Schwinn Trailway would be would be perfect. This 21 speed hybrid bicycle has the features I wanted and could go where I wanted it to go, light trails and city streets. After I picked it up from the bike shop and grabbed my helmet, I thought that it would be really easy to hop on and go for a ride. It wasn’t that easy. 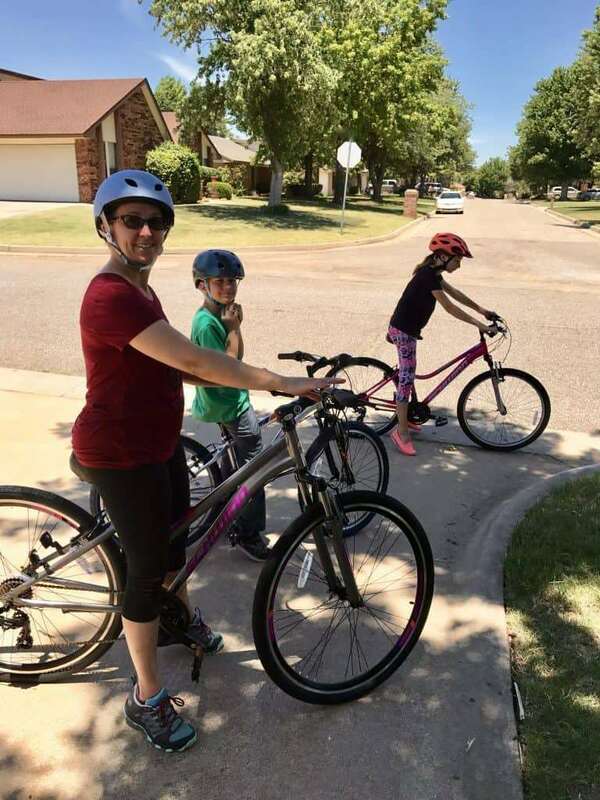 Turns out that riding a bike after a few years isn’t as easy as the kids make it look. Pedaling the bicycle was the easy part. But, remembering to pedal and shift gears at the same time, took a little getting used to. As did the brakes. Turns out that even though you CAN use both brakes, it’s NOT a good idea. I found out the hard way that if you press the left brake (front brake) too hard, you will pitch forward and go over your handlebars or simply be thrown off your bike. It’s a painful lesson I learned again and again and again. Finally I learned that the right brake is the emergency brake to slow down and the left hand is for waving. Speaking of waving, I also had to relearn my hand signals. Luckily, I took someone’s advice and started riding again on a quiet neighborhood street. If you are learning to ride a bike again, I have to say that is really good advice. Get your confidence up and get acquainted with your bicycle before you go on any big rides. Slowly build up your stamina and strength. If you need a refresher course in cycling, there are actually classes now that offer them specifically for adults. Before our big summer road trip, I got in plenty of practice time on city streets. I won’t say I’m a skilled rider, but at least now I’m not throwing myself off my bike and can ride with more confidence. I’m enjoying riding with my kids and my husband. During our trip we rode around the campgrounds and along paths inside a few of the national parks. That was an experience that I won’t soon forget. As we travel more and more, we are sure to take our Schwinn bicycles with us. 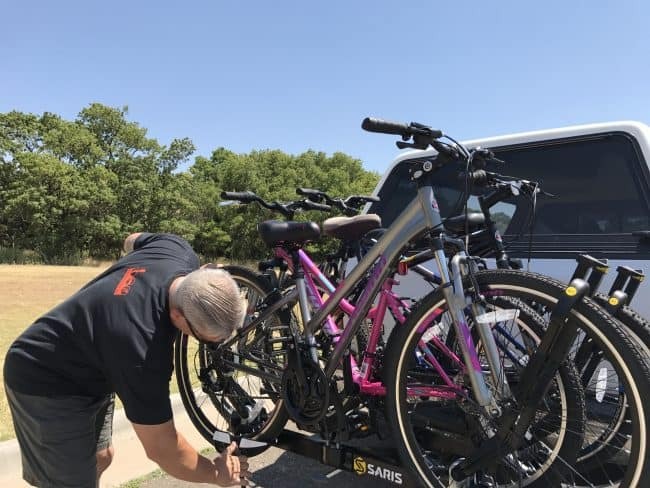 We’ll load them up on this Saris bicycle carrier that made us nickname our pick up the “Adventure Mobile”. With more and more cities being bicycle friendly, I’m looking forward to cycling as a family and seeing what new adventures this brings. Stay tuned!